It's good and I would suggest this with my contacts for sure. Very good insurance for all parents whoever visiting USA. Its a trust-able & reliable insurance for a person who is visiting USA. In my experience i opt for this insurance, and in an emergency I've to visit the doctor. I haven't paid anything from my pocket. Everything was covered and all my claims are processed in a systematic time as per the process. And even they will give some discount cards for buying the medicines in case if some medicines are not covered under this insurance. I would suggest this to my friends for sure. Thank you for sharing your feedback about International Medical Group® (IMG®)! We love hearing from happy customers and look forward to continuing to serve you. It is our privilege to provide you Global Peace of Mind®. Sharing my personal experience which will hopefully save folks some money. 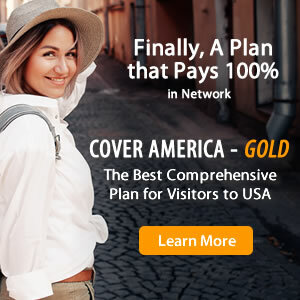 I purchased the patriot america plus plan for my parents (indian citizens) visiting USA (have been doing for past several years). I bought that plan as it was comprehensive, had PPO network and covered "acute onset" of pre-existing conditions. My mom had no "pre-existing" condition and she always got a full medical checkup and a clean bill of health from one of the best hospitals in India before visiting US. This time unfortunately, she had a a cardiac arrest while in US and had to under go emergent bypass surgery. I had a horrible experience working through IMG and seeing the ugly side of american healthcare system. First they denied the "pre-approval" for surgery which takes a whopping 5 days to process. So you've already had the surgery by the time they decide on even the pre-approval. The reason for denial was "pre-existing" condition. They also denied all the claims after the fact as "pre-existing" as well. No explanation for how they came to that conclusion. Just the 2 words - "pre-existing". I went through their appeal process and submitted mom's comprehensive medical records for last 3 years which showed all her vitals, labs in green. They finally gave me an answer that heart conditions are considered chronic. Even if the patient didn't know about it, and none of the tests showed it, artery blockage doesn't happen overnight. Wow.. Human bodies deteriorate over time. So from that perspective everything (short of an accident) in the world is pre-existing. I have given up on the fight with IMG and patriot america. Hopefully this review will help people save some money or at least be informed of the risks. My recommendation would be to never invite parents over unless you can buy a comprehensive plan which covers pre-existing conditions for travelers. And that does not exist to the best of my knowledge. . It was okay. I didn't have to do anything additional. However, the hospital visit charge was about the same so I still had to pay some. I couldn't figure out how to get medical bill reimbursed. Some clarity on that part would have helped. I will most likely use it again. Eddie, thank you for sharing your feedback about International Medical Group. We want to learn more about how we can improve to better serve you in the future. Please email us at RatingsandReviews@imglobal.com to start the conversation. Unreliable health insurance. A complete scam of your money. IMG will reject almost all of your claims stating that your illness is of previous existing condition! I went to see a Dr because I had a severe sore throat and the doctor requested lab work. Well... two months later, I got the bill from the Dr and the bill from Quest laboratory requesting payment because my insurance (IMG) had denied the claim stating that the sore throat was of a pre exsisting condition!!! Stay away from this insurance... a complete scam of your money. in my opinion, IMG insurance will definitely reject almost all your claims (even diarrhea) saying that it was a pre-existing condition. Even if you have a PATRIOT AMERICA® Plus which must cover an "acute onset of pre-existing condition". I had two policies (one from 27 Apr till 10 Oct 2017, and another from 14 Oct 2017 till 03 Nov 2017). I forgot to renew the first one because of the moving to another city. The first symptoms of diarrhea started on 5 Oct 2017. I didn't go to a doctor and took a tablet I had in my home box of medications. It helped for 2 days. Then the symptoms returned. Every time this medication helped me only for two days. On 15 Oct 2017 I went to an Urgent Care. So the first signs of the diarrhea were on 5 Oct when I had a valid insurance policy. And I went to doctor with acute diarrhea on 15 Oct with my new valid policy. IMG insurance rejected my claim for this UC visit insisting that it was pre-existing and that it was not covered. But (!) my insurance policy says "Charges resulting directly or indirectly from or relating to any Pre-existing Condition are excluded from coverage under this insurance except and unless the Charges resulted directly from an Acute Onset of Pre-existing Condition... which occurs 1) spontaneously and without advance warning either in the form of Physician recommendations or symptoms, is of short duration, is rapidly progressive, and requires urgent medical care". Lately after antibiotic treatment I was prescribed by a doctor from the UC I developed C.Diff. (I provided IMG a test result from ER I had to go in early Nov 2017, thanks to my husband's insurance) The symptoms were different. I went to the same UC on 31 Oct 2017. And IMG also refused to cover that visit saying that it was pre-existent condition. But it was new condition developed from the antibiotic treatment I was prescribed! I provided all the supporting documents from the Hospital ER. Thus I claimed IMG $654 for two visits to Urgent Care with acute diarrhea and abdominal pain due to C.Diff (life threatening condition, BTW) respectively but IMG rejected these my claims. In my opinion, even if the "acuteness" of a disease is obvious IMG won't pay for your UC visits. I haven't seen the worst insurance company as IMG that doesn't cover even diarrhea or C.Diff. What's the purpose of their coverage? We had a unwanted situation with my father just 4 days prior to he was to fly back to India and had to be admitted to ER. All the medical claims were satisfactorily processed. Only wish claims processing were a bit faster or atleast some timelines were provided of it resolution. Overall we are satisfied and would recommend to use.